Leading technology and digital media authority. 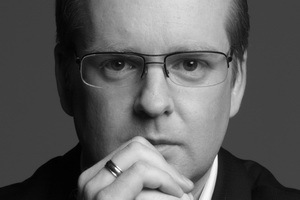 Journalist, author, and speaker Brad Howarth has spent the last two decades examining and communicating the impact that technology is having on business and society. Brad Howarth is fascinated by change. As a journalist working with premier publications including BRW and The Australian Brad has spent the last two decades researching and writing on the impact technology is having on organisations, society and individuals. While Brad continues to study change as a freelance journalist, in his expanded capacity as a speaker and facilitator he works with organisations of all sizes to help them understand and plan for changes that are yet to come. As a result Brad is sought after as a catalyst for discussions around the evolution of industry and business models, and in 2012 was selected to participate in the Prime Minister's Digital Economy Forum alongside leaders from Australian industry and academia. Brad's first book Innovation and Emerging Markets examined the path to commercialisation for Australian technology innovation. His second A Faster Future co-authored with Janelle Ledwidge, examined the impact of high-speed communications technology and services on business, society and individuals. His latest book, Managing for Change co-authored with Peter Fritz AM, sets out a practical guide for helping people anticipate, understand and plan for change, with the goal of using and driving change to improve their lives. In 2014 Brad joined the team at the independent technology research company Tech Research Asia as a Contributing Analyst and Consultant. Brad's presentations take complicated topics and future scenarios and present them in a straightforward and compelling manner. He brings a global perspective and demonstrates the interconnectedness of many developments. Each presentation is tailored to the specific needs of his audience, to deliver information that is relevant, entertaining and thought-provoking. Brad is an exceptional presenter who understands the intricacies of the ever-changing world of technology and also manages to actively involve the audience throughout his presentations. Brad presented on the 'Next Big Things' that will happen in the online/interactive industry at the end of year wrap up panel for Interactive Minds in November 2010. He also participated in our expert panel discussion. His insights and knowledge are exceptional and his easy rapport with the other panellists and audience made him a standout guest speaker. Some changes can be foreseen, while some are far from predictable. What we can be sure of is that our lives today are very different from those which we lived a decade ago, and that the life we live a decade from now will look very different again. Be they personal or professional, we know that change is inevitable, but rarely do we stop and think about the impact it has on our life. It is rarer still that we plan for it. But is possible to take steps to ensure that when change occurs, we can minimise the downside and maximise the positives. Indeed, with careful planning we might even be able to influence the nature of change in our life and wield it as a tool for making our lives better. As a journalist Brad has studied the nature of change and its impacts. As co-author of the forthcoming book Managing for Change he has set down a practical path for people to better prepare for an influence the changes in their lives. How we manage our lives and our relationships and the choices we make personally and professionally have a direct impact on our ability to manage change. If change is inevitable, then creating successful strategies for managing change is essential for ensuring we live the best possible life. In this presentation Brad takes the audience through various observations and strategies on manage for change. The goal is to help individuals and teams develop a toolkit for change that will better enable them to manage changes that are both foreseen and unforeseen, and even become drivers of change. The content for this presentations and its strategic framework are drawn from the forthcoming book Managing for Change, currently being written by Brad and Peter Fritz, AO, and scheduled for release in mid-2014. Work is no longer a place we go to, nor even a thing we do – it is becoming a new way of living.Australia is witnessing a workplace revolution The Australian Government’s goal of increasing participation rates for home and remote workers to 12 per cent of the workforce has catalysed employers to find better models for utilising the skills and time of employees. Increasingly Australia’s leading employers are turning to teleworking as a means of giving their workers the flexibility they desire. At the same time, Australia is witnessing an explosion in the number of freelancer workers, while the rapid growth of online outsourcing services is creating new opportunities for Australians to earn additional income by participating in a global labour market. The rapid growth in numbers of self-employed Australians points to a significant shift in the way that we think about work and how we earn an income. These new models are opening new for workers, but for managers it means adopting changing the ways they engage and manage employees. While access to skills is broadening to include workers from anywhere in Australia – and around the world – that requires finding new ways to manage and reward a workforce that may no longer be working from the same facility, or even on the same payroll. Brad Howarth has been tracking the changing nature of work though his roles as a technology and business journalist and commentator. In 2012 he led a series of seminars around Australia on the topic of teleworking sponsored by the Department of Broadband, Communications and the Digital Economy, and in June 2013 was selected by the Department to facilitate Telework session at the inaugural Digital Productivity Conference held in Brisbane. Every time we look at a web page, we leave behind a trail of information. Every time we use Google, post on Facebook, or send a tweet, data is created. Every time we swipe a credit card, buy an airline ticket, or check into hospital, that event is recorded and stored. Indeed, the digital footprint that we leave behind is increasingly becoming an accurate representation of our lives. And that data has value. With the volumes of data we generate growing exponentially, so too is the opportunity for organisations to harvest and profit from that data. These massive volumes of data have given rise to a new concept in the technology industry – Big Data – and created a massive interest in new tools and methods for analysing those vast volumes of data to find the nuggets of value. The analysis of Big Data enables retailers to predict what products will be the big sellers in their stores that week, and gives insurers a better chance of predicting and preventing fraudulent claims. It even enables hospitals to know almost exactly how many patients they might expect to see presenting at their emergency rooms on any given day of the year. And it has massive implications for our privacy. Big Data is altering the way that many companies view themselves and their core strengths. Viewed collectively, it is leading to the creation of a Data Economy. Data is the new currency, but its value is determined by our ability to collect, analyse and make sense of the data that is available to us. Brad Howarth has scoured Australia and the world to find examples of how organisations are using Big Data to create a new Data Economy. In this presentation he takes his audience through the many concepts associated with Big Data – how it is generated and used – and the outcomes that organisations are achieving. And he provides practical advice on how organisations can wield data to their maximum advantage. The most valuable companies in the world today are data companies. But any company can be a data company, regardless of its industry. Making the leap requires revolutionary thinking, but it is not an impossible task. With markets becoming ever more competitive, few organisations can afford to fail to maximise the value of what they know. History has shown us that the speed at which business and society adapt to new technology can have significant and often unexpected consequences for many business owners. Even when those consequences are obvious, it is not always easy for traditional businesses to adapt in time. Can business owners truly remain in control of their own destiny with technology evolving at a rapid rate? And can they even hope to take advantage of many of the new opportunities that are opening up for them? History is littered with technological breakthroughs and new services whose consequences have been barely noticeable. But every so often a new idea is born that has ramifications for all of business and society. Electricity, refrigeration, the automobile, and the Internet are just some of the technological breakthroughs that have revolutionised the way that we operate in business and as a society, and unlocked a myriad of possibilities and related innovations. Where will the next breakthroughs occur, and what will they mean for business, society and individuals? The Internet has been a massive driver of change in both business and society, but we are only at the beginning of what is possible online. As society moves to faster and more ubiquitous network technologies new developments and trends will arise that can barely be glimpsed today. Concepts such as information abundance, instant gratification and mass collaboration and connectivity are only just beginning to be understood, but already they are evolving quickly. The building blocks of the future are being laid today, and the decisions that we each take today will go a long way to determining the role that we each will play in that future. It’s easy to forget that the Internet is just over 30 years old, and the World Wide Web has only just turned 25. In that brief period we have witnessed an unprecedented flurry of innovation that has unleashed a vast range of applications and services that have truly changed the way we work and socialise. But we are only at the beginning of the transformation. In this presentation Brad takes the audience through a tour of new applications and services are growing both in their sophistication and simplicity, and working their way ever deeper into our society. The world is changing rapidly, and technology is the driver of that change. Brad aims to help organisations understand the likely impact of those changes, and provide tips on how to maximise the advantages that may emerge. The internet has enabled new forms of competition that evolve and develop at a rate that is staggering for many traditional businesses. However, it is only through understanding the changes that are happening in the world can we successfully deal with them – and potentially profit from them. Brad Howarth has spent 20 years documenting the impact of technology on Australian business and society and is now working directly with organisations to help them understand and develop strategies to understand and manage change. In this talk, Brad shares some of the essential strategies to not only deal with but benefit from disruption. Software start-ups are all the rage once more, commanding massive valuations and creating havoc for traditional businesses. But behind the hype, the web-based businesses of the past decade have fundamentally different structures and processes to anything that has gone before. These very same tools and processes are available to every other business in existence today. Brad shows you how to harness them so you too can rapidly build services and products and win loyal customers like a start-up.